Cannabis-infused medical therapies are disrupting the biotechnology world and captivating investors. But not all medical marijuana producers are created equal. Let’s put a spotlight on InMed Pharmaceuticals (OTC: IMLFF), a $98.7 million market cap firm. 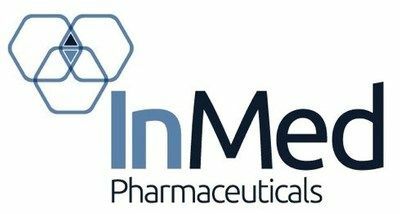 InMed is yet another in a large group of pre-clinical stage cannabinoid pharmaceutical companies. Like most pre-clinical stage cannabinoid companies, InMed has no drugs on the market. Even worse, it’s a penny stock. So the company is relying entirely on the outcomes of its clinical drug trials — and yet these drugs haven’t even started trials yet with the U.S. Food and Drug Administration (FDA). Less than 5% of all drugs in trials get FDA approval. If all of the company’s drugs fail the trials, which is conceivable, the company would go bankrupt. Even if a drug does get approved, there is no guarantee it will find a market nor that it will generate revenue. But let’s give the company a fair shake; it might still present outsized growth opportunities for aggressive investors. Our IMLFF stock prediction will examine the pros and cons of the company and see what 2019 has in store for it. To make an IMLFF stock prediction, we first must understand what this company does. InMed is a pre-clinical stage biopharmaceutical company that researches and develops cannabinoid-based therapies. Right now, the company’s best candidate is INM-750, a topical cannabinoid that treats epidermolysis bullosa. InMed also is working with Pharmaseed Ltd. to develop a formulation for the drug; pharmacology and toxicology studies are underway. The company also is developing INM-085, a cannabinoid-based topical therapy for glaucoma that’s being researched to treat orofacial pain. Epidermolysis bullosa is genetic and creates fragile skin that blisters, even from minor injuries or just a little friction. The most prevalent form of he disease is referred to as Dystrophic Epidermolysis Bullosa (DEB). The blistering can get so bad that people can lose their vision and become disfigured. How Has InMed Stock Performed? What Is InMed’s Stock History? Over the past 12 months, InMed shares have fallen 23.9% whereas the S&P 500 has gained 2.4% (see chart). How Has InMed Performed in 2017/2018? In 2017, InMed shares gained 492% whereas the S&P 500 gained 19.3%. In 2018, InMed shares lost 69% whereas the S&P 500 lost 7.5%. To fully assess IMLFF’s prospects, we must look at InMed’s competitors. There are no medicinal therapies yet for epidermolysis bullosa, so that’s partial good news for InMed. However, Abeona Therapeutics, a $354.3 million market cap firm, is working on a gene therapy that goes right to the heart of the problem. The FDA granted what’s called Regenerative Medicine Advanced Therapy (RMAT) designation to EB-101, an experimental gene therapy used for patients with the less serious form of the disease. The therapy is in Phases I and I clinical trials and, so far, all patients achieved wound healing—defined as >50% closure at three months. At six months, 90% of patients achieved wound healing. At 12 months and 24 months, 83% and 88% of patients achieved wound healing, respectively. Those are great results that InMed will have a hard time matching. TRB Chemedica International is a Swiss company that developed Diacerein, which was originally designed to treat osteoarthritis. The drug is essentially anti-inflammatory, anti-catabolic, and pro-anabolic. That is, it stops inflammation and the breakdown of certain helpful molecules, while promoting the construction of other helpful molecules. Right now, a multicenter, randomized, double-blind trial of DELIVERS is underway with 1% diacerein ointment. Patients apply it once a day for eight weeks. It’s too early to deliver results. Scioderm is presently conducting trials on SD-101, a topical Allantoin cream that shows promise at healing wounds in patients with epidermolysis bullosa. Allantoin reduces inflammation and stimulates the body’s mechanisms for removing damaged tissue and encouraging growth of replacement tissue. In a Phase IIb clinical trial, 48 patients ranging in age from 6 months to 44 years were given the cream once a day for 90 days. The result: 82% of patients experienced complete wound closure in two months, compared with 41% on the placebo. Phase III is underway. Our IMLFF stock prediction moves into its next phase by examining if InMed stock is undervalued. Let us start by saying that InMed is a penny stock. It has no revenue. It is burning about $9.5 million in cash per year. It has $25 million of cash left. We can’t offer you any reason as to why this stock is cheap and undervalued. What we can say is that if, by some stroke of both luck and good science, the firm even gets to clinical trials and delivers good data in Phase I, the stock would probably move higher. But its drugs are pre-clinical trial, so even that scenario seems well out of sight. Here’s a video interview with InMed’s CEO Eric A. Adams (beware of hype). The much larger side of this argument is that InMed has three drugs in the pre-clinical stage. That means the firm isn’t even testing its drugs on patients yet. Given that less than 5% of drugs that make it through the clinical trials get approval, and that most pre-clinical trial drugs don’t even get to trials, InMed seems like a sucker’s bet to us. Even if InMed’s drugs get into trials, these trials will take years. It’s very expensive and the $25 million the firm has in the bank may not be enough. There’s also the issue of competition. While there is no drug therapy yet, and admittedly a successful drug will change the market dynamic, innovations such as gene therapy will prove far more effective. The trials of the other therapies mentioned above are also delivering strong results. InMed is outclassed. This doesn’t even mention the problems of convincing medical professionals to use a cannabis-derived drug. Crossing your fingers and hoping for a winner is a poor strategy. The money sits there for years while you could be using it to earn returns elsewhere. That’s called opportunity cost. 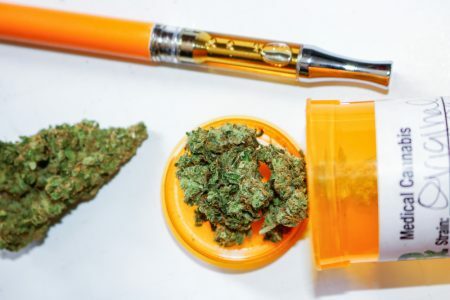 When it comes to cannabis-driven clinical-stage biopharma companies, you must be careful. They are a gamble, with a negative expectation, just as in Las Vegas. Even worse, InMed is pre-clinical. We suggest that you stick to bigger, more established marijuana stocks. Remember, everything depends on clinical trials, and other factors, that you have no expertise in and no control over. The possibility for a total loss is significant. That said, our IMLFF stock prediction is that it will stay flat or fall only slightly this year. That’s because there will be no news out of this company and won’t be until it announces an actual clinical trial. Longer term, we don’t see how this stock is a smart bet.